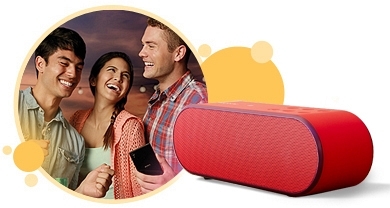 Pump up the party with Sony PUMPX speaker device which delivers amazing audio performance with its 20 W power output. Sony PUMPX has been given a unique shape so that you can easily hold it in your hand. It is light in weight and requires no cables for playback. Thus, you can carry it anywhere you want with much ease. PUMPX has Near Field Communication technology which is commonly known as NFC. You are required to keep your NFC enabled external device near the speaker device in close proximity. Tap your NFC enabled smartphone or tablet on the PUMPX. This will lead to an instant connection between the external device and the speaker that will allow you to access the music stored on your device. After this, just choose your preferred track and enjoy hours of entertainment without any clutter. Sony PUMPX has an in-built mic with the help of which you can attend an incoming call and talk. You can use the speaker’s phone or calling feature. If your smart phone is connected to the speaker and you are using the phone to play audio tracks, the speaker will let you attend an incoming call with much ease. It will pause the on-going song or track that was being played and you can easily attend your call. With Sony speakers, play, share and transfer media content in style. Through Sony PUMPX speaker system share media content through Bluetooth technology. This is the feature that allows you to build a connection between the speaker device and the external audio device. This technology reduces the efforts of cable management while offering unbeatable audio performance. Additionally, it enables you to accept or reject calls while you can easily enjoy hands-free conversations for longer hours. To build a connection, you need a Bluetooth enabled external audio device. 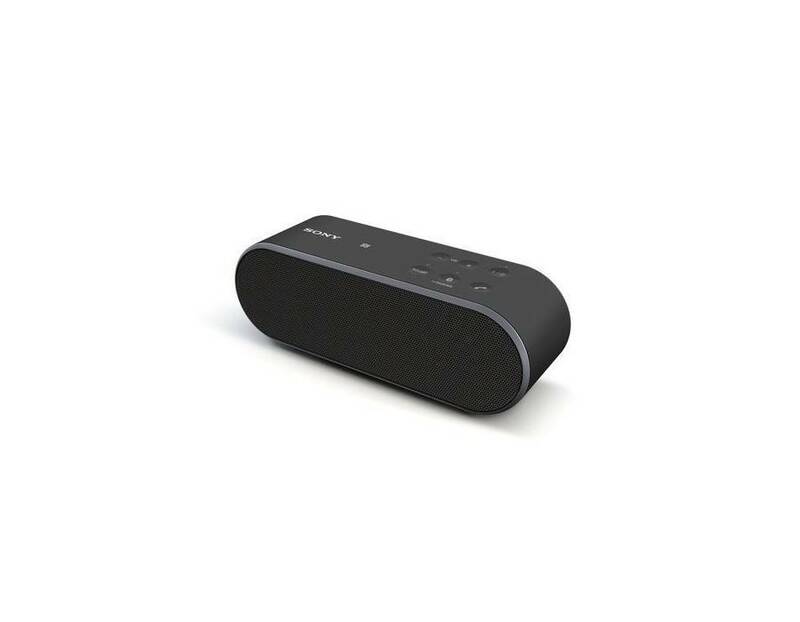 Switch on the speaker’s Bluetooth function and search for the speaker device on your smart phone. Once the two paired, you can enjoy unlimited, powerful and clear sound with 20 W power output. Play your favourite tune for longer hours with the help of the strong and powerful batteries. Enjoy non-stop music for 5 hours straight in one full charge. The batteries are rechargeable and take really less time to get fully charged through USB charging. Enjoy virtual surround sound as per your comfort and choice. Sony PUMPX is all about powerful audio performance. Now power up your party with a compact sized but powerful speaker system. It is a wireless audio producing speaker device which has been developed keeping in mind the growing demands. It is light in weight and requires no cables for playback. Thus, you are not limited to play your favourite tune. Carry this strikingly strong and incredible speaker anywhere you want and play as per your choice. Sony PUMPX has been given a unique shape so that you can easily hold it in your hand. It is a portable device and small in size but that does not stops it from performing out of the box. It has a charming colour which is sure to mesmerize you. Sony PUMPX has Near Field Communication technology which is commonly known as NFC. It lets you share media content by simply keeping your NFC enabled external device near the speaker device in close proximity. You are simply required to tap your NFC enabled smartphone or tablet on the PUMPX. This will lead to an instant connection between the external device and the speaker that will allow you to access the music stored on your device. After this, just choose your preferred track and enjoy hours of entertainment without any clutter. Sony PUMPX has been designed with an in-built mic. This mic allows you to use the speaker’s phone or calling feature. 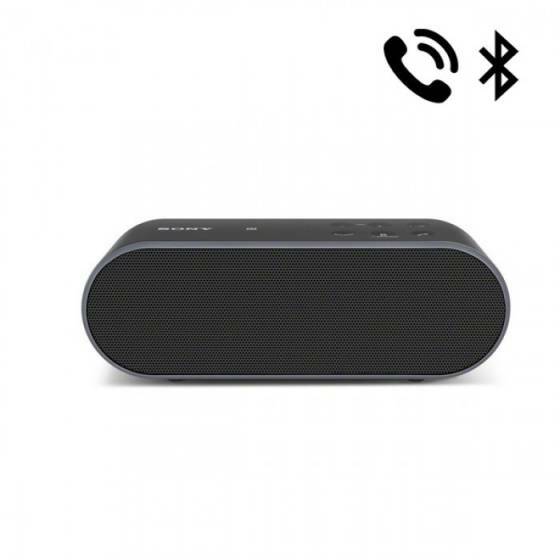 If your smart phone is connected to the speaker and you are using the phone to play audio tracks, the speaker will let you attend an incoming call with much ease. It will pause the song or track that was being played and you can easily attend your call. You can use the speaker device to attend the incoming calls in your office, home or car. Also, PUMPX is important as it gives you tremendous amount of flexibility where expansive room space is a challenge. The loud and clear audio of the speaker will let everyone listen and speak clearly in a huge room space. 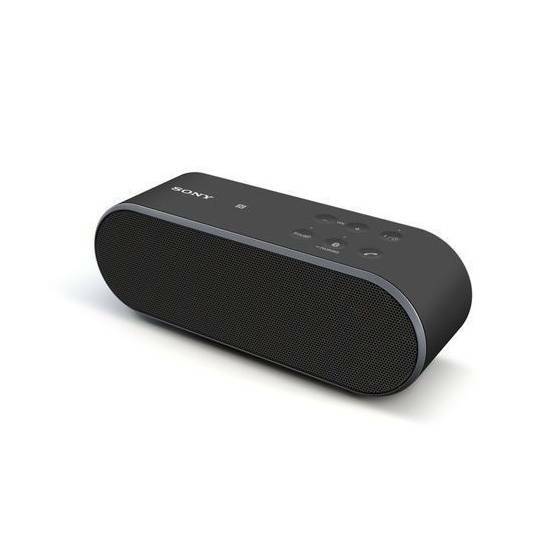 Sony PUMPX speaker system incorporates Bluetooth technology that allows you to build a connection between the speaker device and the external audio device. This technology is in more demand because it reduces cable clutter as it plays the music wirelessly. Additionally, it enables you to accept or reject calls while you can easily enjoy hands-free conversations. To build a connection, you need a Bluetooth enabled external audio device. Switch the speaker’s Bluetooth and search for the speaker device on your smart phone. Once paired, you can enjoy unlimited, powerful and clear sound with 20 W power output.